Stang-Aholics now offers 5 Speed and 6 Speed Complete Manual Transmission Conversion kits to fit 65-73 classic Mustangs! These kits will come with either a TKO 500, 600 5 Speed Transmission or T-56 6 Speed Transmission depending on your Mustang's Horsepower and performance needs. We have teamed up with the best suppliers and manufacturers in the industry to be able to offer our customers a complete kit to help make the conversion to a high performance manual transmission much easier than trying to source all the parts needed individually. 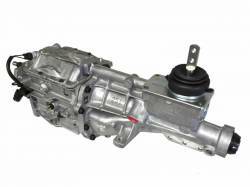 Plus, these manual transmission kits include specially modified 5 and 6 speed transmissions specifically for the 65-73 Classic Mustang. These Tremec transmissions feature modified and streamlined top plates to better fit the classic Mustang transmission tunnel and a relocated shifter on the transmission's tail shaft to put the shifter lever right in the stock location, so you shifter will come up through the stock hole on the tunnel which will also allow you to use a stock or aftermarket interior console! Let Stang-Aholics help you with your Manual Overdrive transmission conversion kit today to help make your Mustang more fun and enjoyable to drive! 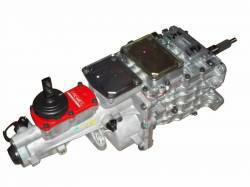 Please call us for a custom quote for a Manual Transmission package for your specific needs. 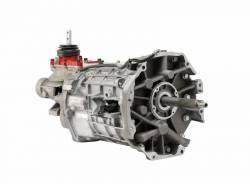 American Powertrain is a premier transmission conversion supplier with their 2-year warranty on almost everything, great installation instructions and a complete library of online videos to help along the way. If you have a wrench in your hand we are here to help; nights, weekends and even on holidays.We feature the TREMEC T5 and TKO in our 5-speed systems and the TREMEC Magnum in our 6-speed kits. 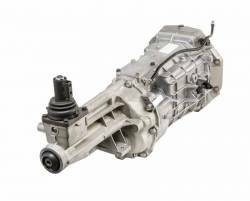 Many of these transmissions are modified by American Powertrain to fit your specific make and model with little or no modification to your car. 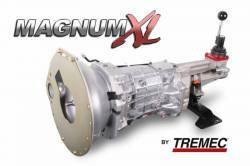 We also offer Xtreme power and rpm upgrades on each of these transmissions with power ratings up to 1100ft-lbs. Xtreme upgraded transmissions are available as bare units or as part of our comprehensive ProFit™ Kits with every component you need to convert from manual or automatic to a modern overdrive transmission.